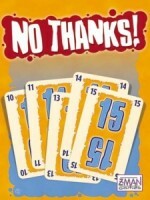 BoardGaming.com> Games> Card Games> No Thanks! An excellent filler game that appeals to non-gamers as well. Add a Review for "No Thanks!"